While all your little Pricesses are playing tea party, you can keep some adult company entertained with this more sophisticated version of the Strawberry Finger Sandwiches. After all, you worked hard, and you derserve a little R&R as well. You will need to pick up some croissants, but all the other ingredients are on hand from the Tea Party Luncheon. I like to keep things simple. 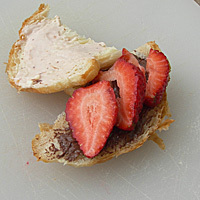 Nutella paired with strawberry cream cheese, fresh strawberries, and croissants will give you three more reasons to throw even more tea parties. it for about 2 minutes. other side. 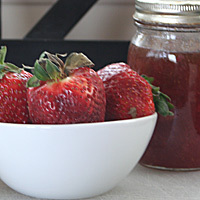 Line one side with strawberries. 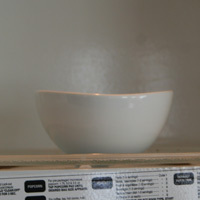 in half to make two pieces. not even want to invite friends! 3. 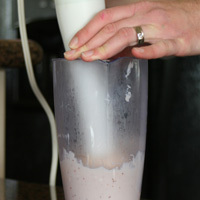 Stir 1/4 C strawberry jam into cream cheese, and then use an immersion blender to combine. 4. 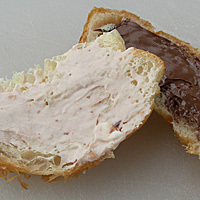 Slice croissants in half and spread nutella on one half and strawberry cream cheese on the other side. 5. 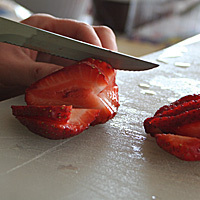 Line one side with strawberries. Assemble sandwiches and cut in half to make two pieces. 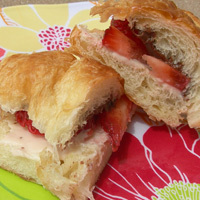 If you are really adventurous, you can make Ashley's Croissants from scratch.